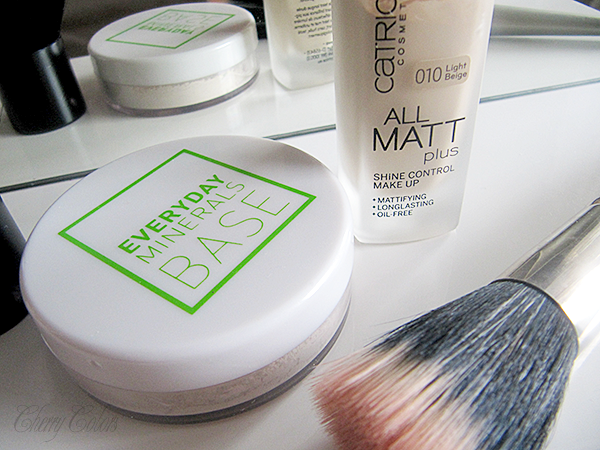 Review: Everyday Minerals Base in 0N (Matte) - Cherry Colors - Cosmetics Heaven! I remember a long, long time ago I had this wonderful mineral foundation. It must have been about 4 years ago, I guess. It's been a really long time, but I did remember the brand who made it - Everyday Minerals. Then I checked my blog - that's a useful feature when your blog is so old (6 years!). And there it was, a post about a bunch of EDM samples! I checked my post and saw that some of these shades were a good match. But to play it on the safe side, I decided to buy a Fair 0N (previously Fair Neutral) in a matte base. I had to buy from a retailer (Licila.si), who has it somewhat fairly priced - 15€. I later had to buy a kabuki, because I didn't have it (??). I purchased one from Catrice and it works nicely with this kind of a foundation. So, my skin is fairly problematic now (hoping to fix it soon! ), and I do realize that this foundation isn't the best kind for very problematic skin on its own, but I do like to pair it with a liquid foundation to get that amazing porcelain skin look. This type of foundation is build-able, but not very. You can go from light coverage to medium, but that's it. I do however like that it helps with the shine - especially during hot days. It does cover red spots quite well. I ultimately hope that I will have nice skin, so I'll be able to use just this foundation over my sunscreen. I am really happy that I am back to using mineral foundations. I like how it doesn't accentuate dry patches and it does help with oily parts of my face (T-zone). I think that full-size packages are a good deal (when it comes to price), compared to samples (which are incredibly hard to use, since they come in a baggy kind of thing). I wait the day my skin gets better and this foundation will be the one I'll stick to. 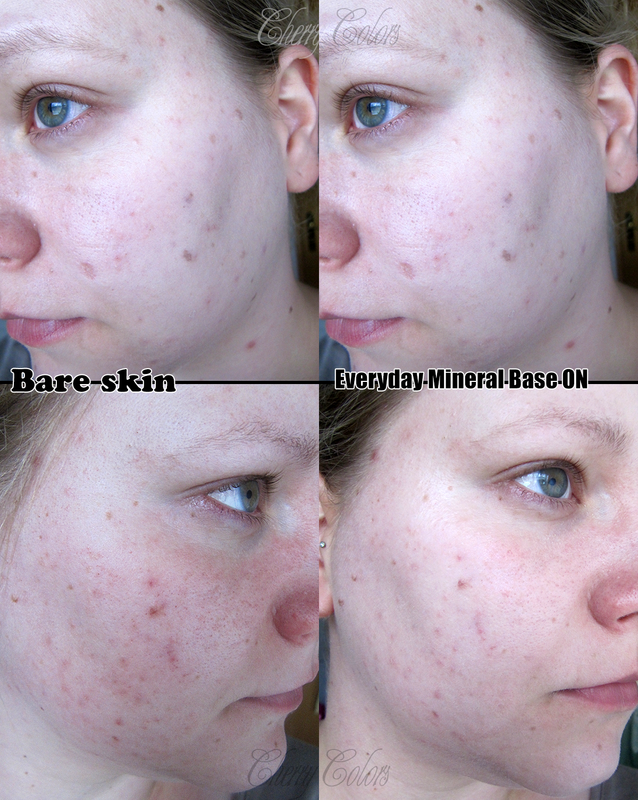 I totally recommend mineral foundations to everyone.